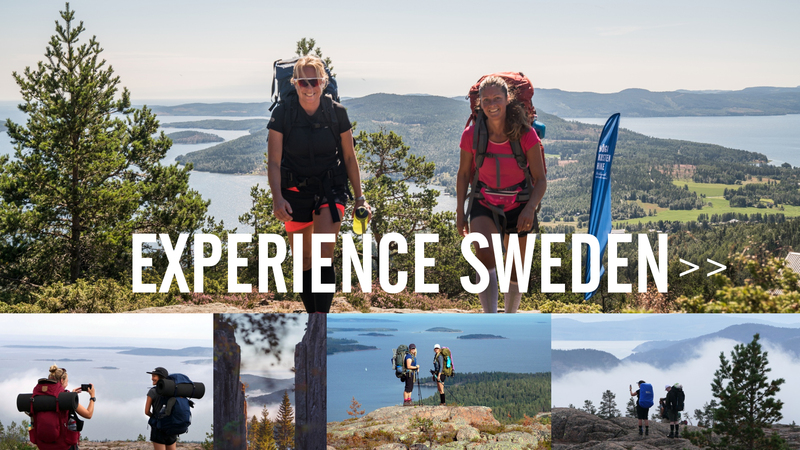 Bring your children to an amazing Sweden adventure you will remember for life. 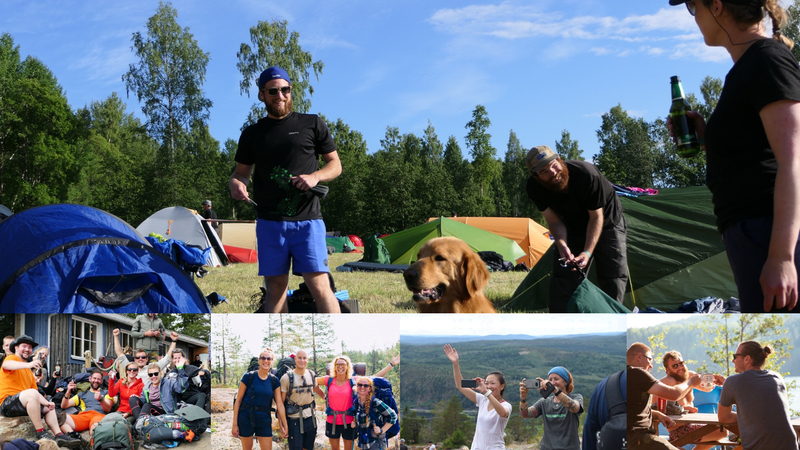 Three days of hiking, magnificent nature and great companionship. 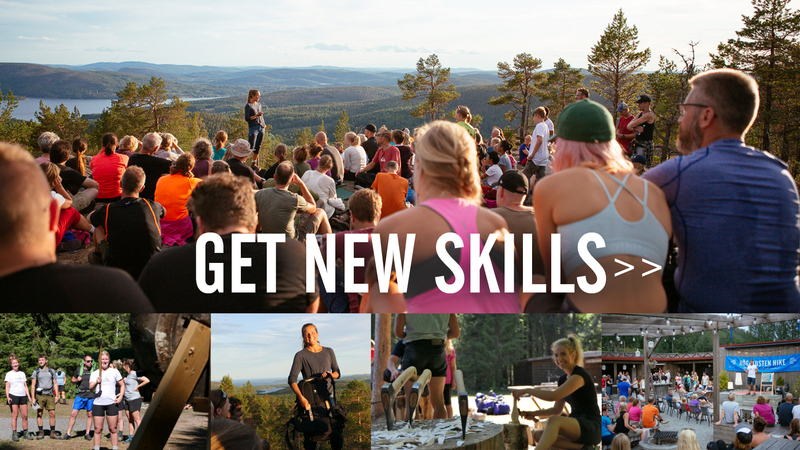 In the evenings we learn new skills from Swedens leading outdoor companies before we gather by the campfires. Kids love to hike. It is as simple as that. It is mostly up to you as a parent. 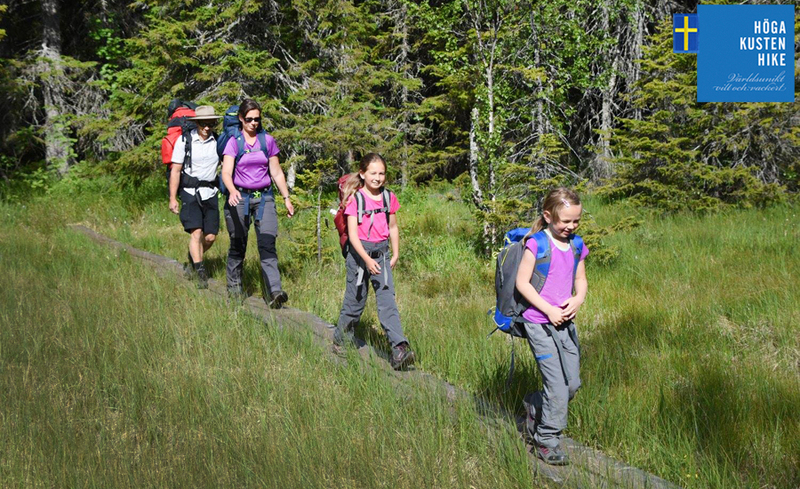 If you make a plan for the High Coast HIke the kids can go on for miles. 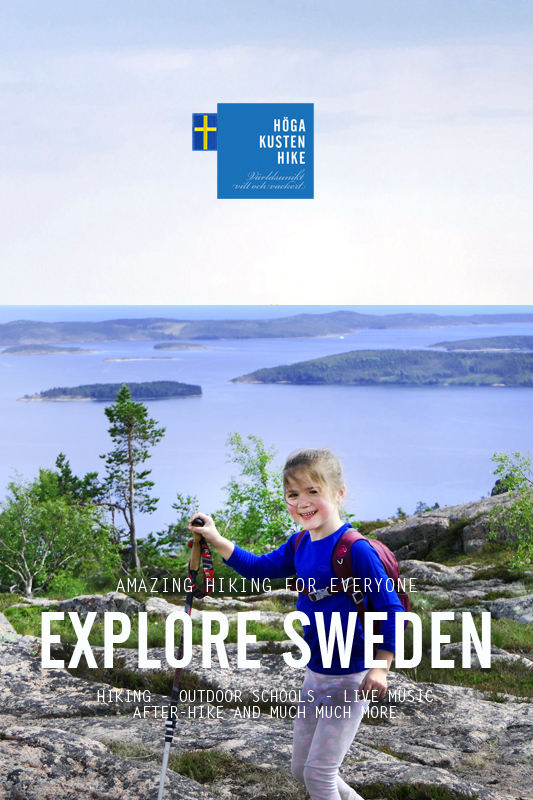 Here you find some tips and further down you find some comments from hikers who have brought their kids for an adventure to remember. 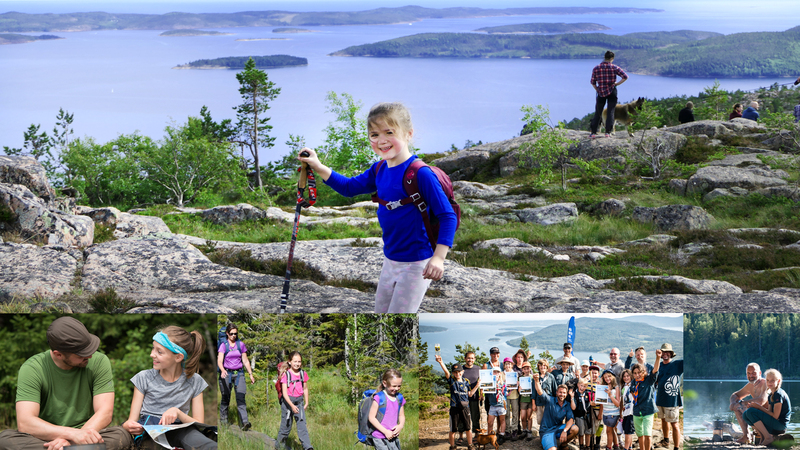 The High Coast Hike has a mountains, coastline and forests – this mix is great for kids. Your responsibility as a parent is to make sure you take enough breaks to make it all the way to the nightcamps. You should also make the decision if you should take the shortcuts or hike the full distance. Make fires at the places where there is prepared wood and a fireplace, we will show you on the map. 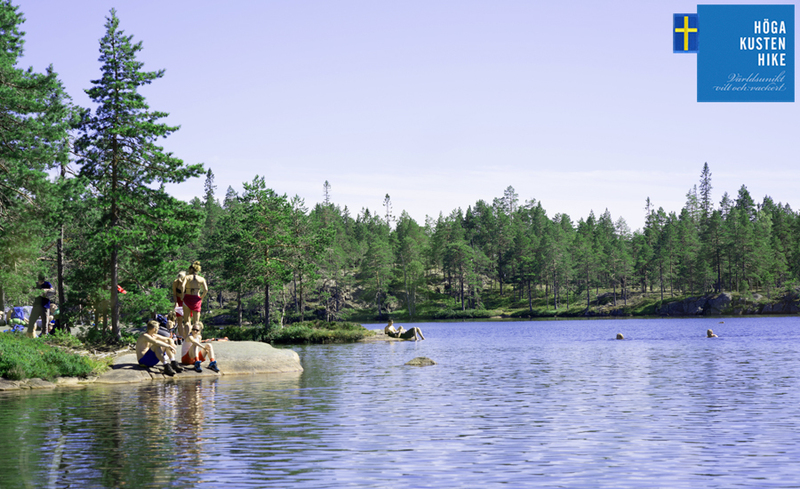 Take a swim at Tärnättvattnet, Tärnättholmarna and Kälsviken. 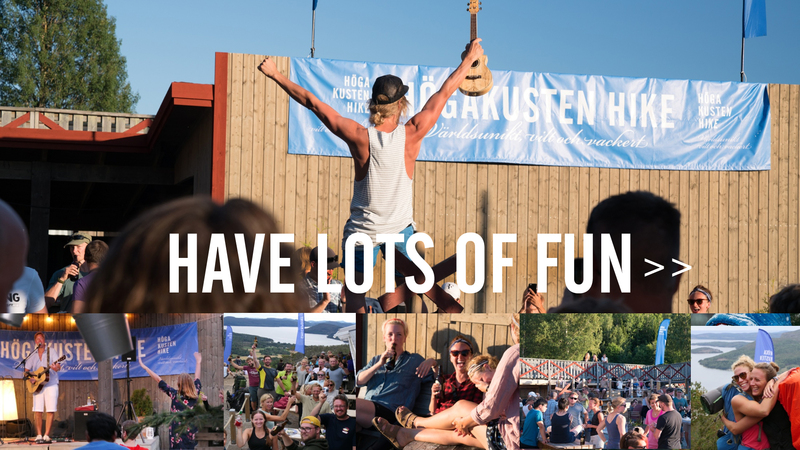 Make sure to enjoy your time together. It is a good idea to bring a book about animals or nature. Look for birds and tracks from animals Look for rocks and trees. Bring a pair of binoculars and a magnifying glass. 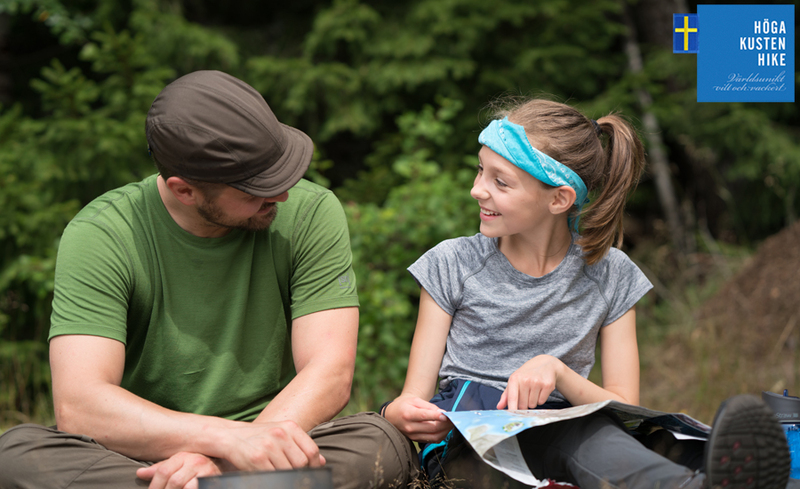 Let the kids keep track on where you are on the map. Sure, you might arrive a bit later to the nightcamps but the evenings are light and it is just a bigger adventure to hike with headlamps. It is perfectly ok to bring the teddy bear and of course he or she could sit down by the fire and sleep in the sleepingbag. It is very important that you still have energy when everybody else has lost theirs. One first step is to have full controll of your equipment. Most importantly your tent and stove. And if you ever loose your patience – take a break. Let the kids play or take a swim while you just watch and let it sink in that you are creating memories for life. 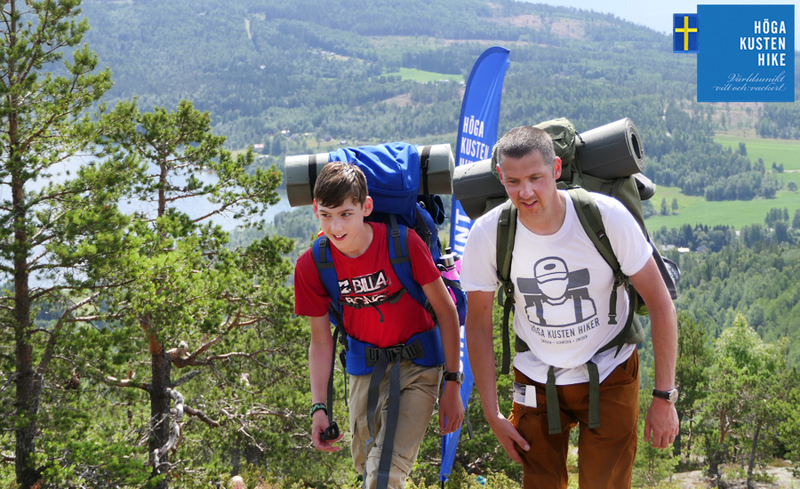 Hikers with children will take the first bus to the start at 08:00 on thursday. 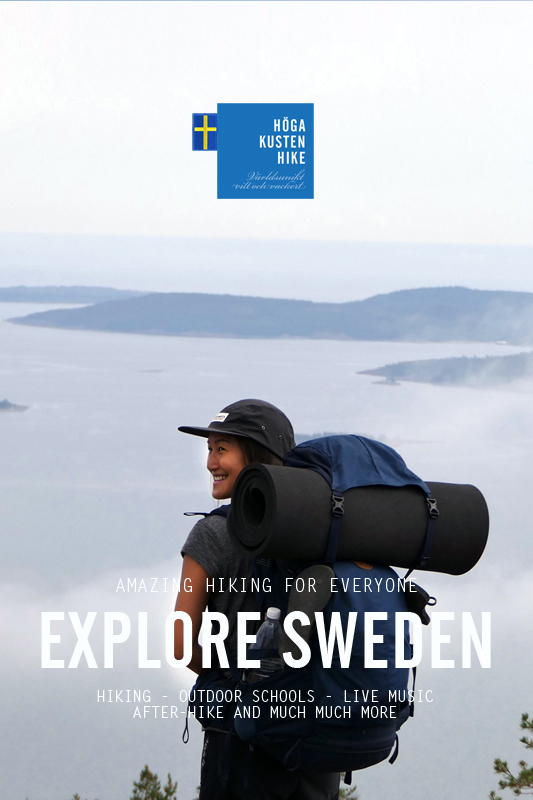 Thursday is the longst hiking day and the early bus will give you plenty of time. When we go through the map we will also show you where you can take shortcuts and exciting places where you can find some extra motivation. If you take the shortcuts the distances become like the following – Day I 13 km, Day II 12 km, DagyIII 10 km. If you break the days down to four ”mini-hikes” 9-11, 12-14, 15-17 and 17-19 you hike app. 1 500 meters per hour. However, this is theory – you hike and take breaks when you feel like it. Age is absolutely no problem! It has more to with the person and how certain challenges are handled by the person and by the family. So when your kids are positive and up for the challenge, i.e. motivated you should definitely go for it. 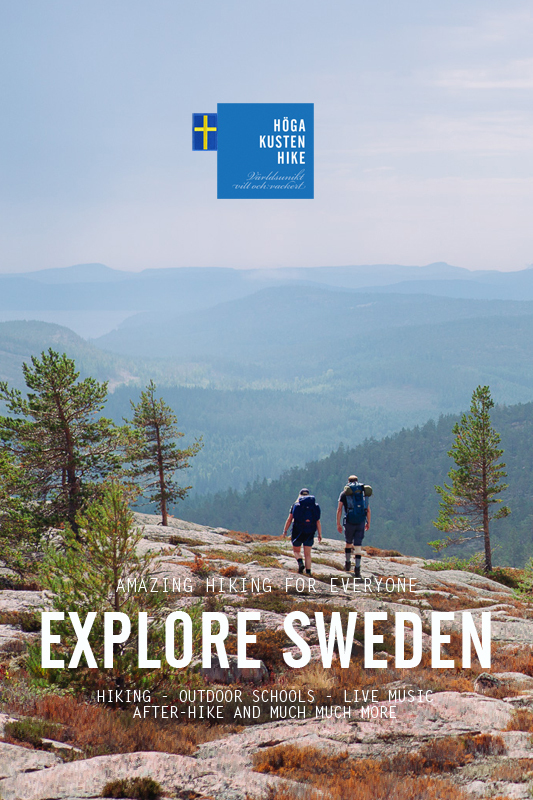 My 10 year old son walked it last year, he found it challenging but really enjoyed it. He enjoyed that much we are doing it again this year. Also, there were families with children a lot younger then him. Did it last year with my 9 year old daughter. It’s a challenge but it’s not impossible. Just bring a lot of candy or chocolate. 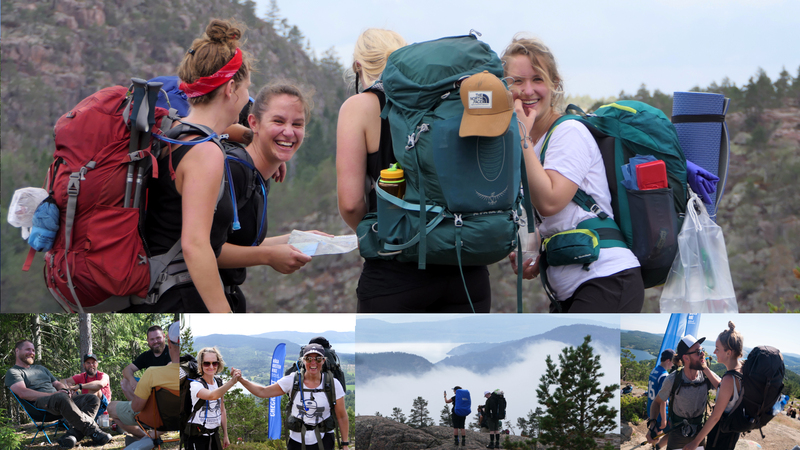 We did the hike in 2016 with our girls who were 4 and 7 at that time. It was amazing! Lots of candy and stories did it for us. And patience. I am still so proud of my kids for this and believe me -they can feel that. Go for it! Go for it! 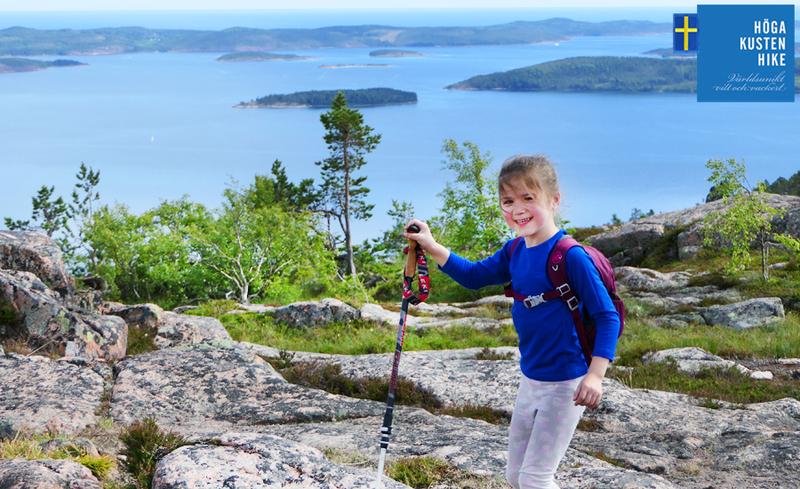 We did the High Coast Hike with our 6 and 7 year old kids and they still talk about it. A great adventure. They were so proud of themselves and easily kept up with adults.